Every year at Zion you find a tree that has changed color, this is this year’s tree. 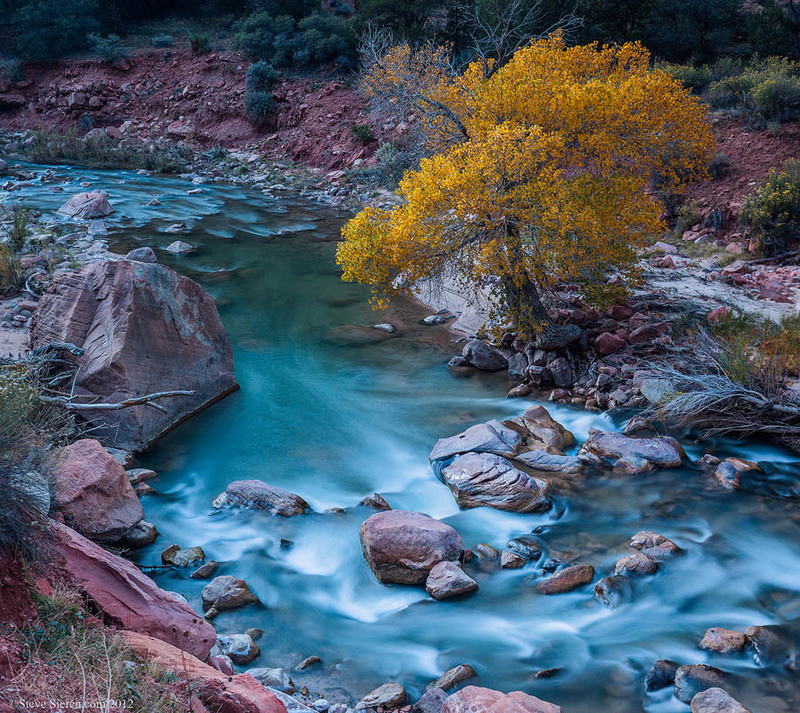 I’d ask if you guys were sick of seeing photos from Zion but this isn’t one of those icons that you’ve seen a thousand times before… This lone cottonwood tree stands all by itself next to this emerald river in Zion National Park. Per request, this photo can be deleted and replaced with a bridge shot of the watchman! This entry was posted on November 27, 2012 at 10:11 am and is filed under Uncategorized. You can follow any responses to this entry through the RSS 2.0 feed. You can leave a response, or trackback from your own site.